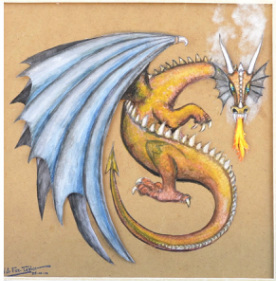 Matt Grawitch is the author of the Three Wizards Chronicles and has recently joined the Fantasy Sci-fi Network. I asked him to come along today to tell us all about his writing. Hey Kasper. It's great to be here. It's always fun to meet another fantasy author and your books look great. Honestly, I started writing way back in college as a sort of hobby. I gave it up when I started graduate school and began pursuing my doctorate degree in psychology. I eventually met someone, had kids, and got into my career – and began writing more for the scientific community. Flash forward to my girls being a bit older, and I used to tell them bedtime stories. I made them up on the fly, and they always seemed to enjoy them. One night, I told them a story about the Three Wizards and their Teacher and Protector, and they seemed to enjoy that, too. The next time I went to tell them a bedtime story, they asked for another one about the Three Wizards, and that began a trend, which eventually became a book, and then seven books. It became a way of connecting with my girls while we were going through a major life transition, and all seven books were originally drafted in less than two years. They obviously need some editing as I move forward in publishing them, and I think Books 4 and 5 are going to need a bit more story added to them, but with any luck, in the next two or three years all seven of them will be published. That's a great process and I bet the girls helped shape the stories with their own ideas as it went along. What other writing have you done? I’ve spent the past decade mostly writing for the scientific and business community. I’m a faculty member of a Midwestern university with a doctoral degree in psychology. But I’ve always loved reading fantasy novels, and I’ve enjoyed writing them. I’ve started on a new series called the Graymalkin Saga, though that has taken a back seat to my efforts with the Three Wizards Chronicles. And at some point, I’d like to get back to finishing the Trilogy I started in college almost twenty years ago. Sounds like plenty of work to keep you busy and lots of great books coming for your fans. What made you choose this genre? I’ve always loved Fantasy novels. When I was young, I was enthralled with wizards, magic, sorcery, dragons, and the like. Of course, Dungeons and Dragons was a great outlet for that, and eventually I stumbled upon the Wheel of Time Saga. Quite frankly, I love the intersection of magic and science (and ensuring that the laws of magic –whatever they may be for a particular book – are established and maintained in the story). It may have something to do with background in Jesuit education, believe it or not, where you see an intersection between mysticism, religion, and science. Essentially, the back story is this. Magic has been around forever, and it has influenced the development of our world. Of course, the general public doesn’t know this, but there has been an eternal war that has been raging between the light magic and the dead magic. When it spilled over into our world, it needed its avatars – wizards – to fight for control. The light magic – composed of fire, earth, water, and wind – was able to spark one wizard with each type of magic. 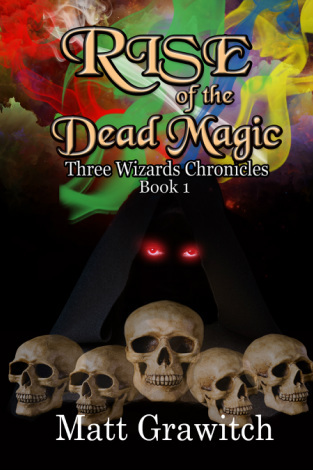 The dead magic also sparked one wizard, though that wizard had greater power because his magic was more concentrated. Flash forward to the present time, and we find Nikko, the wizard of Fire, in the role of Teacher and Protector of three teenage girls, Summer (sparked with earth magic), Jolie (sparked with wind magic), and Reece (sparked with water magic). They also happen to be sisters. The books follow their exploits as they learn more and more about magic. And of course, a variety of plot turns and twists get added in along the way. That sounds really cool, with a little nod to one of my favourite shows growing up: Charmed. I’m torn between my favourite being Nikko or Balthazar. 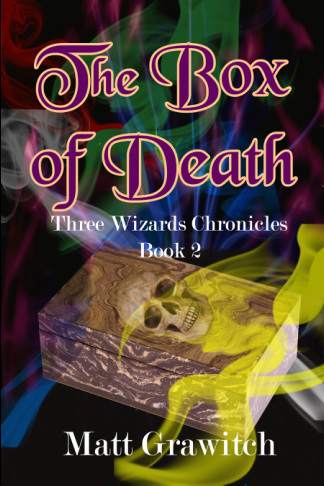 Balthazar is a former Wizard of Dead Magic who loses most of his power in the first book and rediscovers his humanity. Both play prominent roles throughout the series, and both have some serious flaws that are revealed throughout. Oh, and they have a few moments throughout with a bit of witty banter back and forth. Balthazar almost takes on more of a grumpy father-like role in Nikko’s life, so it gets a bit interesting. Almost every character in my books has some tie to either real people or some connection to a prototypical fictional character – with the exception of Balthazar. He is sort of an amalgamation of a variety of real people with whom I’ve interacted and fictional characters that have intrigued me. In the Three Wizards Chronicles, the characters travel back and forth between the Realm of Magic and our world (which is called the natural world in the books). In the natural world, they visit places all across the globe, some of which I’ve visited in person, some of which I have not. I spent a lot of time doing research on various places to be able to describe the context of a location as accurately as possible. Also, I’ve tried to create across the books a very detailed history of magic and its role in our world’s development, so I’ve spent a lot of time researching various historical periods so as to be able to identify proper years, styles of dress, events, and the like. Your research sounds like fun, especially the travelling part. Yep. I’m a faculty member at a university in the Midwestern US. I’ve had a variety of administrative roles at my university, including serving as Interim Dean. I have a very well-established international reputation within my professional world. Congratulations. I bet it's nice to have an artistic outlet such as fantasy writing. Routine?? What routine?? I’ve found that the more I try to create a routine, the more it becomes like work instead of fun. Unfortunately, right now, I struggle to find time to do anything but edit the next book of the Three Wizards Chronicles, but I hope this summer to re-establish some regular writing periods. I usually have a beer. I’ve found that one – sometimes two – beers can connect just enough neurons in the old noggin to help me crack and sometimes burst through a writing blockage. Lots of rejections…and then someone finally willing to take a risk on me. Do you have a blog? What do you write about in your blog? I blog on my Three Wizards Chronicles site. I really spend time writing blogs from the perspectives of one of the main characters from the books. I use it to tell back story and give a bit more insight into the characters. I usually write them five at a time (one for each of the characters who blog). I was posting them twice a week, but I have gone down to once per week to free up time for other projects. The two biggest challenges are making sure I don’t write anything on the blogs that contradicts anything I have written in the books and staying in character (I always ask myself whether that character would write that particular blog). That is such a cool idea! I'll have to give it a try one day too. I don’t read any other blogs religiously (except my own because I have to). I do, however, read tons of blog posts – really anything that strikes my fancy. I have what might be described as a very broad spectrum of interests, ranging from toilet humor to very sophisticated scientific writing. I’m already living the dream – though I wish we had about three or four more hours in each day. I could accomplish so much more. Spending time with my kids and my fiancé, watching professional hockey in person or on TV, and vegging out in front of a movie. To anywhere with fun stuff to do and a warm climate. We have three cats that are as different as different can be. I don’t really have a favourite among them, because each of them adds a unique element to our lives. Definitely hard copy, though I can read e-books too. I grew up with hard copy books, and I guess it has become quite ingrained in me. With no offense intended to those who like these particular genres, but romance and erotica have never really been my cup of tea when it comes to reading. Thanks so much for stopping by to share your books and thoughts with us today. Welcome to the Fantasy Sci-fi Network and best wishes with the Three Wizards Chronicles. Matt has offered to give away a number of FREE Kindle ebooks in exchange for a review. Please have a read of the excerpt below and contact him for a free copy. It had taken a couple of weeks for the group of Sentinels to make their way from the safe house to Virginia. The truth was, Michael was in no hurry to see Agatha Marks. He didn’t want to frighten the others, but he knew that things were not going to go well for them when they faced Agatha and the punishment she would mete out. time traveling around with a bunch of wizards. The last time he had spent any considerable time in the van, he had used it to smash into a bunch of zombies, trying to keep the Wizards of Light Magic from getting killed. Now he was using it to take them back to Virginia, where a similar challenge may very well await them. They had pulled off at a rest stop to use the restroom for one final time. Michael adjusted his silver sunglasses, looking at himself in the mirror. He had not shaved in several days, and he rubbed at the itchy stubble on his face. “I really need a haircut,” he muttered under his breath. He normally kept his hair cut fairly short, but the back had grown down to his neck and was starting to curl. And then there were those annoying wings on the side of his head. Not real wings, mind you, but the kind that always seemed to form when his hair got too long. Michael’s attention shifted to his wife, Jennifer, as she climbed into the front passenger seat. Her long blonde hair looked beautiful in the afternoon sun. The curves of her body were accentuated by her tight jeans and cardigan sweater. Michael always thought he had been so lucky to have found such a beautiful and intelligent woman. As she leaned across to kiss him, Michael returned the kiss, but it was less than passionate. Michael thought long and hard about what to say, but he just didn’t have the heart to tell her what he was thinking. He couldn’t even look her in the eyes as he said, “Nothing’s wrong. I’m just a little anxious about having to deal with Agatha again. That’s all.” It was a good thing she couldn’t see his eyes behind his sunglasses or she would have known right away he was keeping something from her. Stanley, Kade, and Ethan saved Michael from any additional questioning as they finally made their way back to the van. Stanley was a big, burly, dark-skinned man with a shaved head. His voice was always gruff and booming. He had been the first to shed his camouflage outfit after the battle with Malo. He hated the fatigues. He was much more comfortable in ripped jeans and his Miami Dolphins jersey. He loved football, and he loved the Dolphins. Kade, a slim, but well-built, man in his late forties, had pale skin and graying hair. His hair seemed much grayer since they had joined up with the wizards to battle Malo and his minions – perhaps because stress can do that to people. On the other hand, the man seemed to be oblivious to the fact that they were heading into a hornet’s nest. He had a big smile on his face as he gulped down a Diet Coke, wiping his mouth with his black t-shirt. “Are we all set?” he asked as he climbed in. “Good lord,” Ethan remarked as he climbed in behind Kade. “Don’t they know we’re on a schedule?” Ethan was a bit of a hippie compared to the other members of the group. He was not nearly as well-built as the others, with long, dark hair that he usually kept pulled back in a ponytail. He had been convinced that they would be able to go to Stonehenge – the affectionate term for the stone house that served as the Sentinels’ headquarters in Virginia – and convince Agatha to let them back into the Sentinels. Nobody else believed that. Michael wondered whether Ethan really did believe it or if he acted that way to keep his own spirits up. Tasha was a tall, dark-skinned woman with short black hair and a scar on her left check. Since leaving the safe house, she and Stanley had seemed to become quite chummy. Michael wondered if perhaps the two had become romantically involved. He didn’t say anything for a couple of reasons. First, he didn’t want to say it and be wrong. Second, if there was something going on and they wanted it kept a secret – for whatever reason – Michael figured it wasn’t his place to spill the beans. Cassie was the youngest person in that small group. Michael couldn’t remember her exact age, but he thought it was around twenty-six. She had olive skin and light brown hair and liked to wear jeans and t-shirts, but she managed to make them look like they were expensive dresses. She just had that way about her. “There she goes again,” Michael remarked to himself. She had asked that question every day since they had left the safe house, though usually she also ended up asking about Nikko. It was obvious that the time they had spent with the wizards had led her to develop some form of hero worship for Nikko – possibly leading her to think she was attracted to him. If she was attracted to him, though, it was doomed to end badly. There just wasn’t any way Michael could figure for a normal and a wizard to have a meaningful romantic relationship. Besides, Nikko hadn’t even intimated that he was interested in her, and Michael was as close to Nikko as any of the other normals. He shook his head at the thought of Nikko and Cassie. Nikko was a good man but probably not cut out for the family life. Besides, he already had three kids – girls – even though they weren’t his natural children. They were his wizards. As soon as everyone was buckled and ready, Michael got them started on the last leg of their journey. It was a mostly quiet ride, except for Kade telling jokes and trying to make everyone laugh. But nobody really seemed to be in the mood. Even Ethan – who thought their current predicament would not be so bad – was unmoved by Kade’s attempts. A couple of hours later they pulled up to the front of Stonehenge. The gate opened immediately. Michael remembered the last time they had been there. Zombies were trying to kill them. Oh, how things had changed! They drove past the fountain and around the circle drive, stopping right in front of the immense three-story stone building. Michael sighed deeply as everyone climbed out and meandered to the front door. Tasha went to ring the bell, but before she could the door swung open. The same two bodyguards who had met Michael and Jennifer the last time were standing at the door. “Gentlemen,” Michael said, “long time, no see.” He did his best to smile, but the two burly guards did not return any sort of emotion. “We expected you a week ago,” one of the men said. Michael couldn’t remember exactly, but he thought his name was John or Joe or Jim or something like that. He was horrible with names. “Sorry,” Jennifer replied. “It took us longer than we thought.” She conveniently left out the part about them not being in a hurry to go back there and get kicked out of the Sentinels all over again. The guards didn’t respond to her explanation and simply led them into the house. Instead of going up the stairs as they had done the last time, the guards took them to a large parlor on the first floor. The parlor was decorated in antique furniture, the kind of stuff that Michael always thought was better to look at than it was comfortable to sit in. He and Jennifer sat side by side on an old love seat, while each of the others took spots on the remaining furniture. Jennifer grabbed Michael’s hand and held it. “She’s on her way down,” a guard replied. They sat in silence for a few minutes. Then all of a sudden, Agatha Marks, a wrinkled old woman with gray hair, burst into the room along with a number of others. As usual, Agatha, wearing a black dress, her arms crossed angrily, looked like someone had said something to make her unhappy. A younger woman stood next to her, and Michael remembered her from when he and Jennifer had visited during the zombie invasion. Her name was Jeanine, and she appeared to be Agatha’s assistant. The others who had followed Agatha and Jeanine into the room – four men and two women – were armed with small-caliber handguns. It was not the welcoming party anyone had expected. Well, Michael had thought about it as a highly-unlikely possibility. He figured they would get some rough treatment, but he never dreamed it would involve weapons – goons maybe, but not weapons. Matt has offered to give away a number of FREE Kindle ebooks in exchange for a review. If you enjoyed this excerpt, please contact him for a free copy. Matt Grawitch is a Ph.D. in Psychology serving as a faculty member at a university in the Midwestern U.S. He is also the father of two wonderful girls who served as the inspiration for some of the characters in the Three Wizards series. He currently lives in New Baden, Illinois with his fiancé.